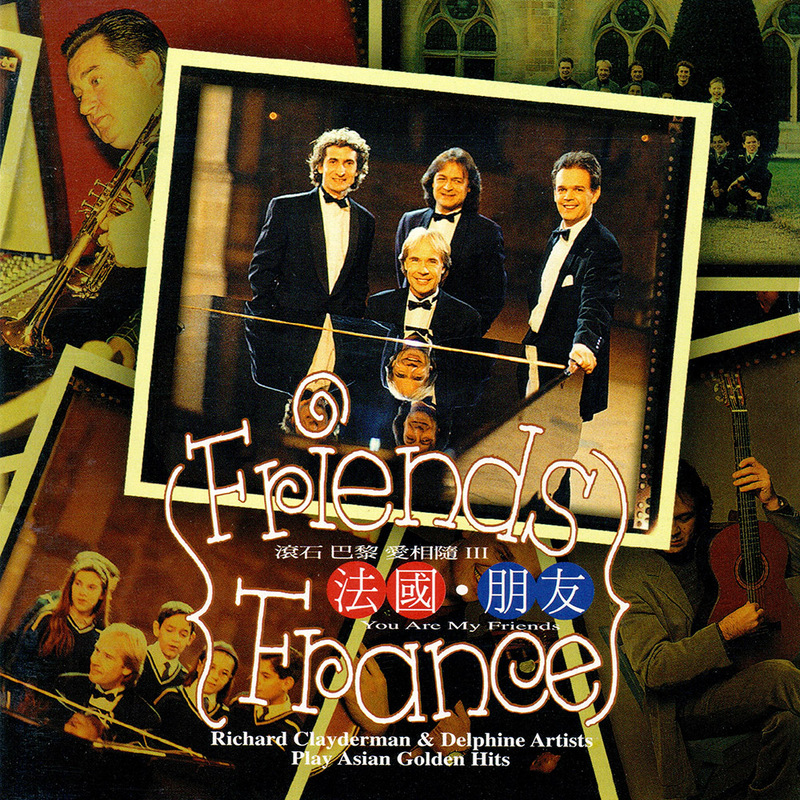 ‘Friends France‘ is the third of three special studio albums featuring Richard Clayderman performing Asian love songs together with other Delphine-label artists. The Delphine Artists include: Eric Couëffé (Cello), Nicolas de Angelis (Guitar), Jean-Claude Borelly (Trumpet) and Diego Modena (Pipes). Three of the tracks feature the Les Petits Ecoliers Chantants De Bondy Choir. Some versions of ‘Friends France’ feature a bonus Video CD entitled ‘You Are My Friends’ featuring music from the album and interviews with the artists.